Happy Friday y'all!! I'm so happy its the weekend, I also don't have to work this weekend, so it makes it even better!! I usually work Saturdays and some Sundays, so it will be so nice to not have to work! Well I hope y'all have an amazing Mother's Day weekend:) Thanks for reading!! Hi coming to you from SE limk up. I love this checked top, so new and fresh! And I have been looking for cobalt shoes, yours are so pretty! I love your peplum top as, I've not had anything from Shenside before. I'm really into monochrome too this season and you do exactly what I like to do. Add a pop of colour! 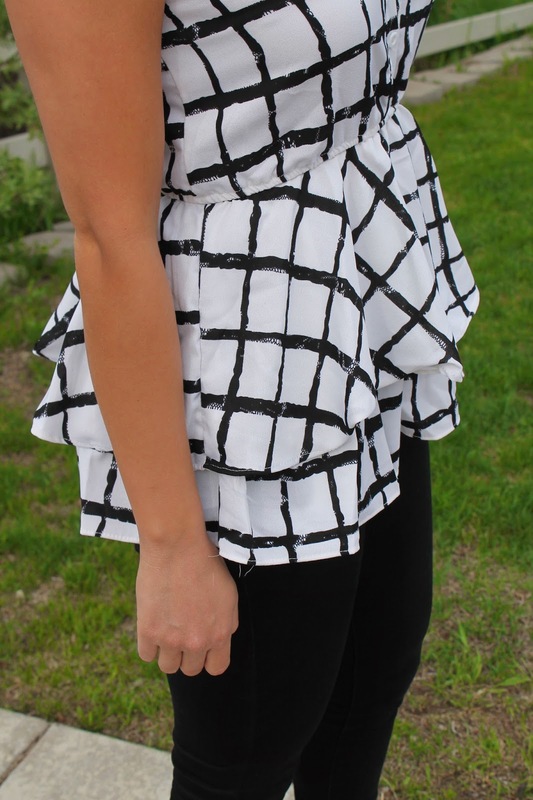 I really love that peplum top!! such an interesting top, really liking the pattern and the style. love that top and the shoes are super cute too! I love this window pane top, so pretty!